Carole’s story… | Cartref Ni - My Home. My Life. My Choice. 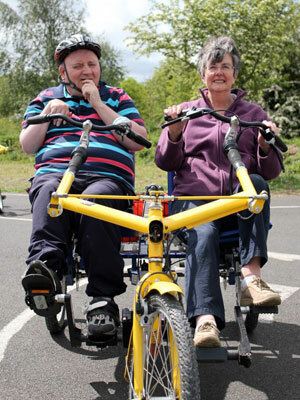 Carole supporting David to enjoy a cycle ride at Wrexham — not sure who’s doing most of the peddling!